What’s The Process Of A Skylight Installation? Skylights are a very popular option for many home owners. They can provide you with the warmth and brightness of natural daylight, right into a specific area of your home! They also look sleek, modern, and very appealing. 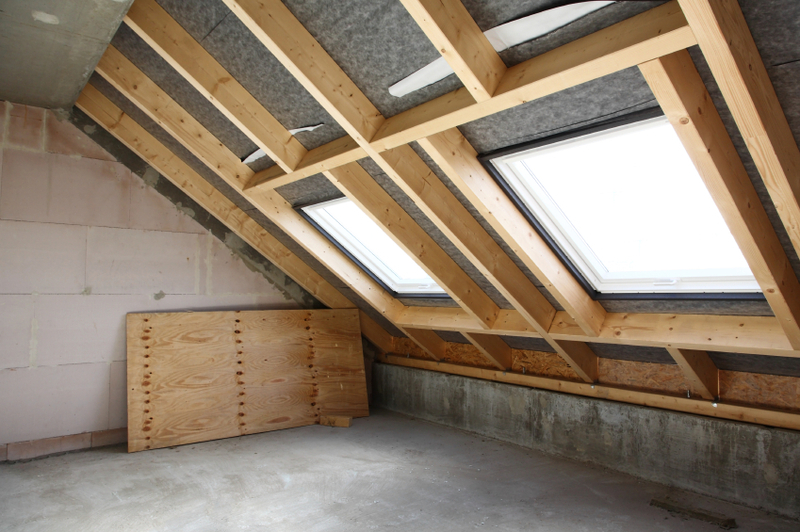 Due to their attractive appearance, skylights can also help you boost the resale value of your home! What’s the process of a skylight installation? In this article, we’re going to look at some of the steps involved in the process of a skylight installation. -First of all, you need to select the type of skylight that you’d prefer to have. What shape or design would you like your skylight to have? You can find the right skylight that you need by speaking with some knowledgeable experts, like the ones at Dillon Bros. Roofing. -A skylight installation is an intricate, meticulously handled process that should only be done by professionals. The roofing experts will start off by framing the roof opening with lumber. This process is especially important, since it’s required to support the skylight. The skylight is then properly installed, with the experts adhering to the skylight manufacturer’s instructions. Finally, the skylight experts will then build a ceiling opening and light shaft. A family-run business that continually works hard to maintain an impeccable reputation with their customers is Dillon Bros. Roofing. Originally founded in 1998 and incorporated in 2004, this highly respected roofing company has continually met AND exceeded their clients’ expectations, thanks to their honest appraisals and high quality services. If you’re looking for a reputable roofing contractor in the Toronto, York, and Durham regions that can expertly install a skylight, check out Dillon Bros. Roofing. For over 15 years, this highly praised company has continually satisfied their clients with their superior roofing expertise. These expertly trained contractors can provide you with a wide variety of roofing services, such as eavestrough cleaning, shingles and skylight installation, gutter clean system installation, aluminum and vinyl siding, snow removal, and much more. They are a highly praised roofing repair company! If you have any roof-related inquiries, or if you want a free estimate, check out their website at dillonbrosroofing.ca. This entry was posted in Roofing, Skylight and tagged skylight installation, skylight installation process, skylight installation tips. Bookmark the permalink.